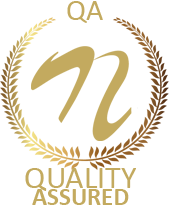 Robotics is one of the most innovative and promising technologies that is going to find its place in almost all the applications of future. Hence, students should start learning robotics and develop an understanding on the technology from school and college level. Nevon Projects provides workshops which serves as an effective platform for the school and college students to take their first steps in robotics. Through this workshop for robotics, School and College students can learn to build robots on their own. You can arrange our workshop for robotics in your school and college and our trainers will be there with the robotics kits and necessary materials to help students to build robots. Nevon Projects provides robomechanics workshop which will help students to develop much more competencies like critical thinking, structural thinking, creativity and problem-solving abilities which are basically hard to learn. These robotics projects and course will help students learn more about robotics and mechanics involved with robotics. Introduction to Robotics & Robotics Systems. Understanding robotics systems in depth and its applications. Understanding and developing robotic arms and its applications. Understanding and designing wheelchair chassis. Understanding how Arduino, Raspberry Pi and microcontroller are involved in Robotics. With the help of this robotic kit, you can build you own 3-wheel robotic vehicle. This robotic vehicle can be used in various conditions where human beings are unable to enter, accidental areas like fire accidents, very high or low temperatures. This robotic kit is used to build a robotic arm. Robotic arm has many uses like it can be used to implement complex industrial automation functionality which only humans can achieve. A robotic module is divided into two modules, one is gripper module and other is gearbox module. Both these modules are made up of laser cut metal and acrylic which assures their durability in various applications. Through this robotic kit, students will learn to build remote-controlled mini wheelchair on their own. Such robotic mini wheel chair brings multiple functions like high scalability and safety to help accident victims and people in need of mobility assistance. Tracked Robotic Tank Chassis kit consists of smart chassis, 4 motor drive, unsrewable parts, Arduino/Raspberry Pi/breadboard friendly which will help you develop various customized robotics projects. Get 4WD metallic finish monster truck chassis through this kit to make your own rough terrain robotics systems with ease. Easy to mount sensors, circuit space on the metallic monster truck chassis body kit. Using this kit, you can build more customized robots which will have many applications. This robotic kit is used to build UFO style rotating chassis. This specially designed chassis allows for full 360-degree easy rotation for instant turning as well as on the spot rotation. This robotic chassis can be used for making various robotic projects like R2 robot. Two motors are provided, which will allow you to make customized robotics systems and projects in no time. Build your own metal robotic systems using these two floored robotic vehicles. You can build many customized robots that require more sensors or circuitry to be placed on small robots. Also, by using this kit, you can mount your own robotic arms or mechanisms on top floor, keeping below floor for robot circuitry and battery. Build your own smartly designed 2WD robotic vehicle chassis to develop your own robotics projects and research work. Easily develop arduino and microcontroller based robotics projects using motorized robotic platform that consists of 2 DC motors that can be run on a 12V supply. With efficient and accurate turning abilities and smooth operation develop path finders, obstacle avoiders and other desired robotics projects with accurate movement control of robots using our 2WD robotic chassis. Nevon Projects has a huge variety of robotics kits which can used to build and develop various customized robotics systems. 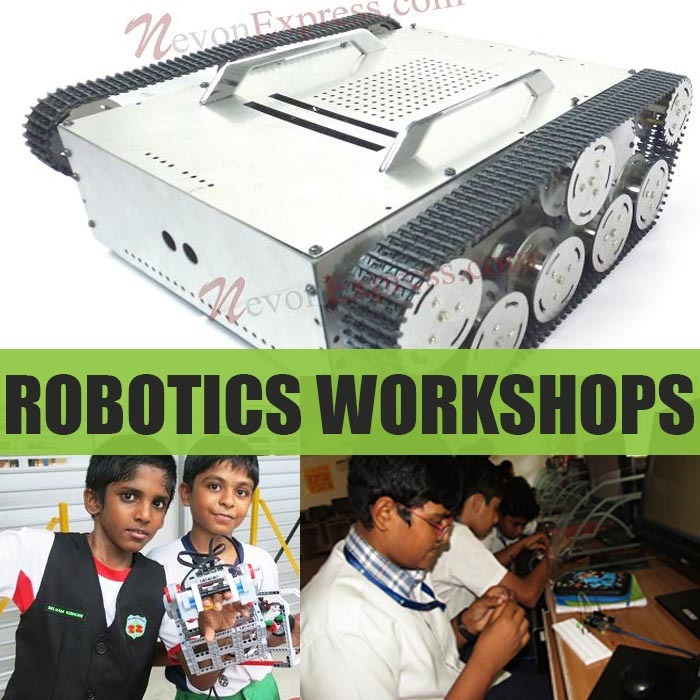 Nevon Projects provide robotics workshops and technology workshops in Mumbai, Pune, Thane, Navi Mumbai, Bangalore, Nashik, Surat, Maharashtra, Karnataka, Gujarat and all over India for schools and colleges.